Are you Searching for the Best Places to Visit in Pakistan? You are on the right page.Here we will show you Top Most Beautiful Places in Pakistan you need to visit before you die.Natural Beauty attracts everyone.Pakistan have world most beautiful places to visit, specially at its best in northern areas of Pakistan and Kashmir region.This side of the country is popular for lovely mountains which are covered with snow, beautiful rivers and lakes. This country is full of natural places and beautiful wonderlands because of this thousands of people from foreign countries come to visit them. 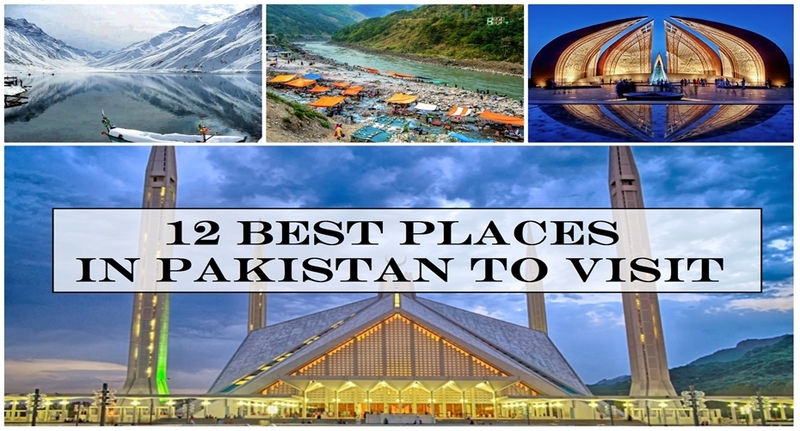 There are various Places in Pakistan to visit that record for being a standout amongst the most excellent spots of the world.below is a list of top 12 Best Places to Visit in Pakistan Where Every Tourist Must Visit.you will not found such beautiful places all over the world. On the 1st number there is Fairy Meadows which is famous for its beautiful lush green plateaus and world's ninth biggest mountain Nanga Parbat is located in Diamer, Gigit Baltistan. 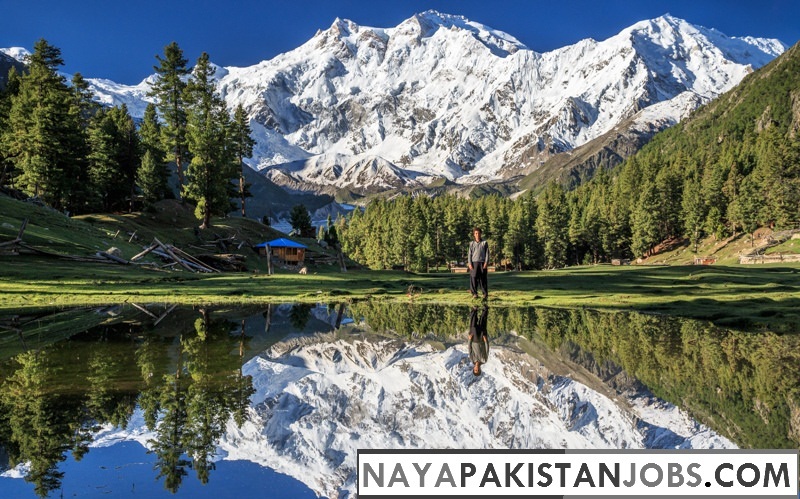 The place was named fairy Meadows in 1953 by an Australian Climber Hermann Bhul due to its beauty.He was here to climb the peek to Nanga Parbat. He became the first one to summit the mountain. Fairy Meadows is also called "Heaven on Earth" due to its charming weather, eye catching view and matchless beauty. 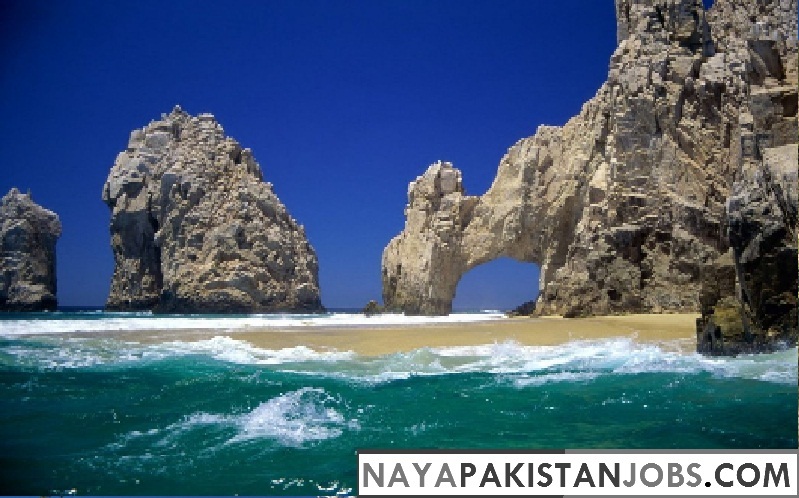 Astola Island is situated in Balochistan. It is also known as Island of the seven hills. It is an uninhabited island in the Arabian Sea. The island is a part of Pasni sub-district of Gwadar District. The island is 6.7Km in length and a maximum width of 2.3km. The highest point of the island is 246 feet above sea level. There is no source of fresh water on island. So there are no trees on island.The vegetation depends on the occasional rainfall and soil moisture for survival. Badshahi Mosque is the second largest mosque of Pakistan, located in Lahore.It is one of the most stunningly beautiful sacred sites for Muslims. It is completely made of marble and red sandstone.It was built in 1673 A.D by the sixth Mughal Emperor Aurangzeb Alamgir.The mosque remained the largest mosque of the world from 1673 to 1986, when it was over taken in capacity and size upon the completion of Faisal Mosque in Islamabad.It has total area of 29,867.2 square meters and can accommodate up to 100.000 worships. 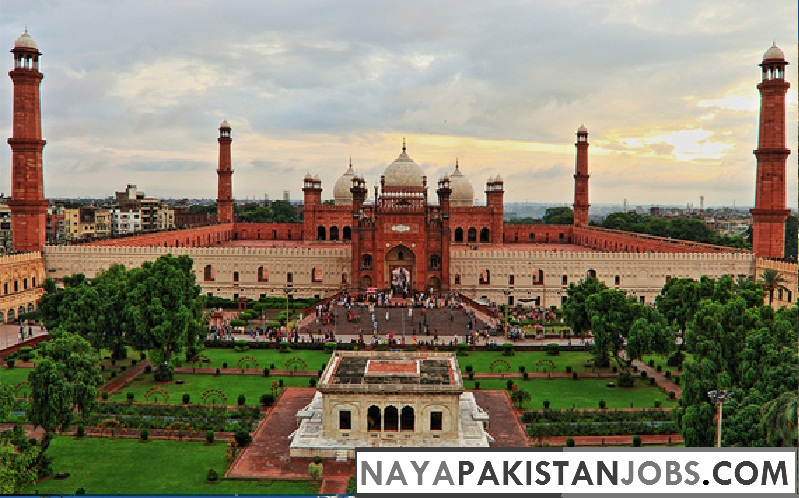 The Badshahi mosque has four minarets and three domes, the central one bigger than the other two. These are coated with white marble.It is 3rd on the list and one of the best place to visit in Pakistan on vacations with friends. 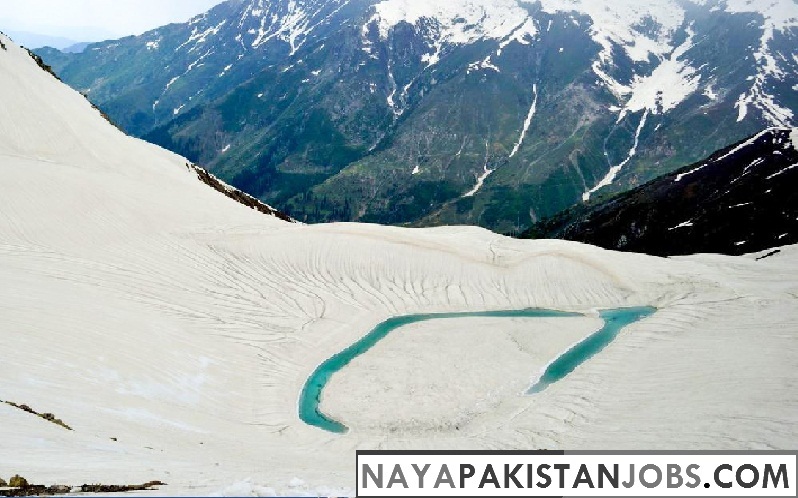 This lake is shaped like a tear (Ansoo) that's why it is named Ansoo Lake. Ansoo Lake is located in kaghan Valley of District Mansehra, KPK. It is located at an altitude of 13,927 feet above sea level and considered among one of the highest lakes of Himalayas. The lake is situated near Malika Parbat, the highest mountain of kaghan Valley. Moreover, this lake has clean blue water which looks outstanding when you look at the top of the mountain.It's a popular and furthermost visited spot among visitors, it's around natural beauty can's describe in words, speechless. 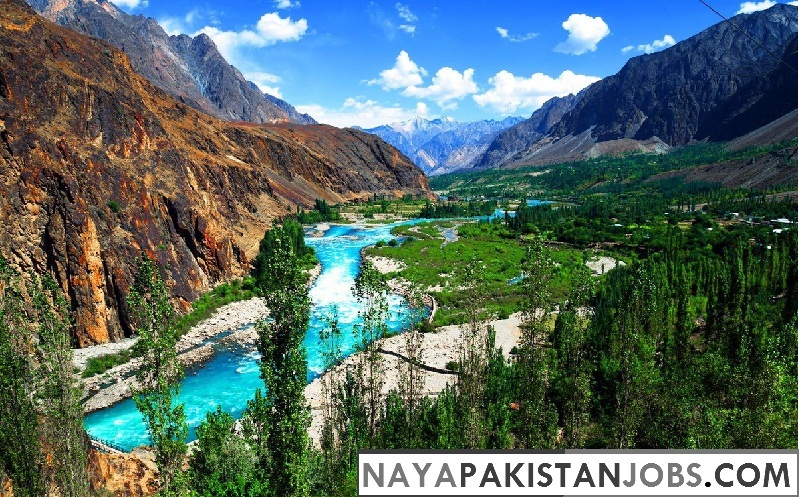 Gupis Valley is full of beautiful landscapes and breathtaking views.It is quite famous for its ancient and historical monuments, which are still stand tall with all their glorifying past and untold stories.It is Located about 70 miles in west of Gilgit on the bank of River Gilgit. A few Km from the valley of Gupis is a charming lake called Khalti Lake. Gupis Valley usually freezes during winter.It is famous for being habitat of trout fish. The lake is formed due to stretch of river near the village of Khalti.The dark blue waters of lake during summer look very charming. There is beautiful restaurant near the Khalti Lake. A PTDC motel is situated nearby to facilitate tourists. Tourists can enjoy the spectacular view of the lake from the PTDC Motel. 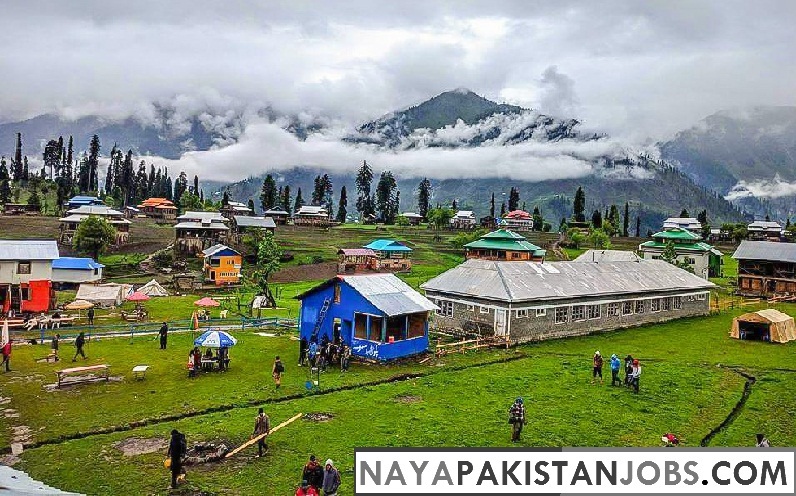 Neelum valley is known as the most attractive valley of Pakistan where thousands of tourists visit every year because of its lush greenery, beautiful and sloppy mountains. Neelam Valley is a 144 km long bow-shaped valley in Azad Kashmir Region.It is also a standout amongst the most alluring spots for travelers .Neelum Valley offers you to visit the most beautiful lake “Ratti Gali”. 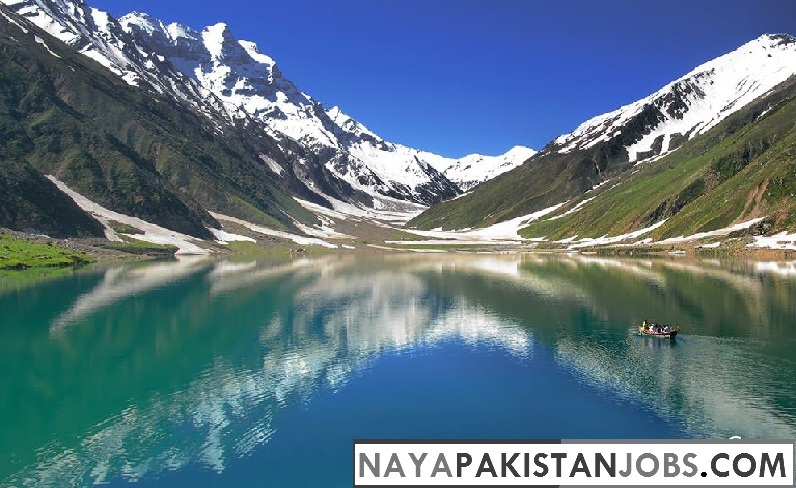 Patlian Lake and Baboon Top are new addition in Neelum Valley’s attractions.This place is recommended as one of the Best Place to Visit in Pakistan. Lahore Fort is located in the historical city of Lahore, at an eminence in the northwest corner of the Walled City. Though irregular in scheme the fort measures about 427 meters east-west and 335 meters north-south.It summarizes Pakistan’s amazing cultural heritage in the various artistic influences seen throughout. You may not be able to view the interior of the building, since it is utilized as a museum and is open during fixed hours only.Lahore Fort is the Only monument in Pakistan which represents a complete history of Mughal architecture. The mosque was named Shah Faisal Mosque due to the late King Faisal bin Abdul-Aziz of Saudi Arabia who suggested building a national mosque in Islamabad during his visit in 1966.Faisal Mosque in Islamabad is the biggest mosque of South Asia and the sixth largest mosque in the world.It was the largest mosque in the world from 1986 to 1993. The main courtyard of building presents a beautiful view of Margla Hills. Although the mosque is not a picnic place but still it is open for families, students, tourists, delegations and foreigners to visit. 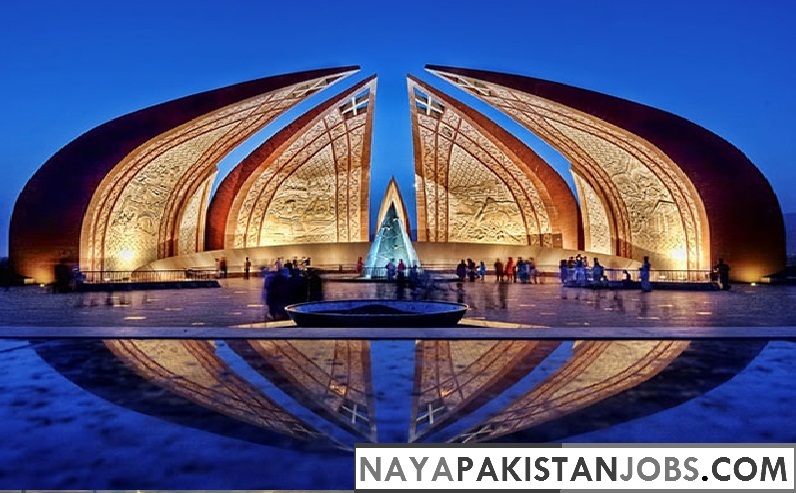 The Pakistan Monument was introduced in Islamabad on 23 March 2007 as a national landmark.Pakistan Monument is conceived as the National Monument of Pakistan. The Monument was constructed as a tribute to the people who sacrificed their lives for the independence of Pakistan. 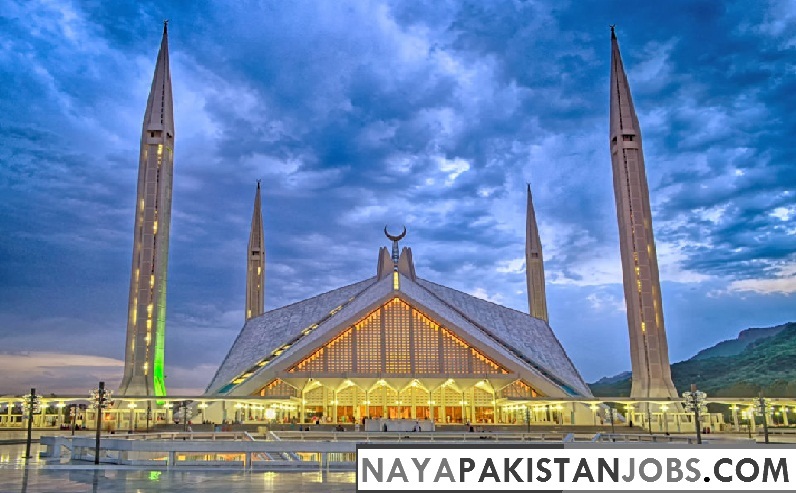 The structure comprises of four greater ‘petals’ (the areas), rotated with three littler ones (the regions).The murals on the petals of flower shaped architecture features Pakistan's Cultural heritag and historic events of Pakistan Movement. 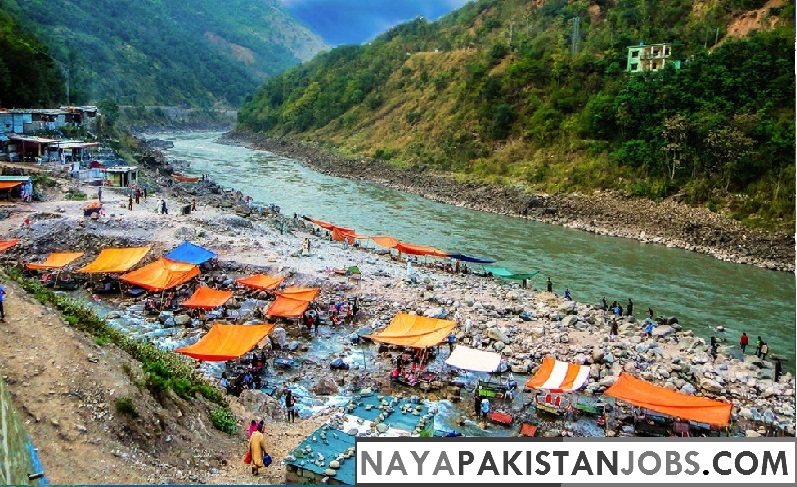 It is 9th in the list of Best Places to Visit in Pakistan. Lake Saiful Muluk is a beautiful mountainous lake which is located about 8 Km North from the town of Naran.It has an aptitude of 3,224 meters above sea level.This beautiful lake which is the part of Khyber Pakhtunkhwa is considered the 10th best tourist place in Pakistan. It is covered by snow. Summers are a decent time to go here utilizing the jeeps.One of the best parts of this lake is its crystal blue clear and freezing water.It is the incredible place to visit on vacations with friends and families. Swat is a valley and an administrative district in the Khyber Pakhtunkhwa Province, Pakistan.Swat has effectively caught such a significant number of hearts around the globe also known as Switzerland of Pakistan because of its beauty and marvelous sites. Swat is one of the Pakistan’s most popular tourist destinations.It has many attractive places to visit like Malam Jabba, Madyan, Kalam valley, etc. All these furnish swat with a beautiful wonder that makes Swat a brand in itself. Murree is situated in Pir Panjal Range which is at a distance of 60Km Northeast to Islamabad.It is the best place to see the beauty of nature. Murree is the most wonderful and prominent urban city in Pakistan. 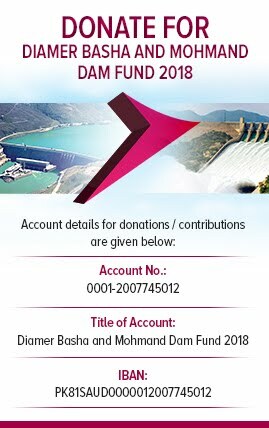 People from all over the Pakistan wish to go there in summer to enjoy its natural beauty. 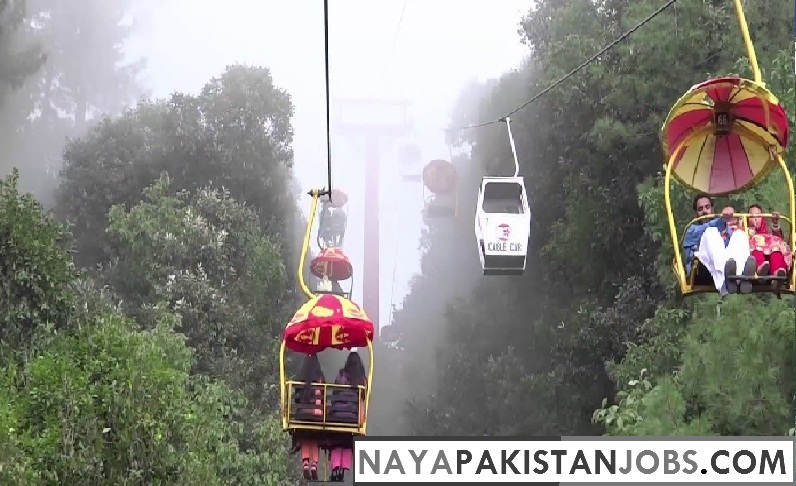 Bhurban and New Murree (Patriata) are a main tourist center. One of the most favorite tourist point of Murree is Galliat.If you are a keen tourist you cannot allow anyone to miss this place. Share this post to Appreciate the efforts, Thanks for Visiting us.